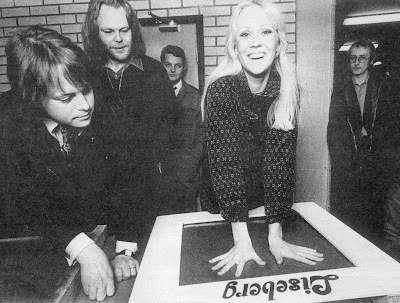 Agnetha (in full stage make-up) leaving her handprints at the Liseberg in Gothenburg, January 29th 1977. Next to her on the left is bearded tourmanager Thomas Johansson. Hi. I needed to drop you a quick be aware to specific my thanks. so and have picked up a ton of good data and loved the method youve structured your site.